Production of a fighter aircraft in India through a joint venture, will provide a major impetus to the Make in India programme in the Indian aerospace industry. Top Left to Right: Pratyush Kumar, president, Boeing India, T. Suvarna Raju, Chairman and Managing Director, Hindustan Aeronautics Limited, and S.P. 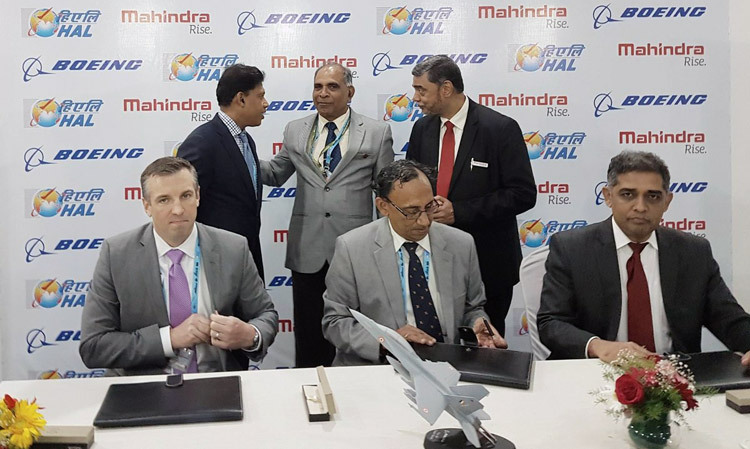 Shukla, Chairman, Mahindra Defence Systems; bottom left to right: Dan Gillian, Vice President, F/A-18 Program, Boeing, D.K. Venkatesh, Director, Hindustan Aeronautics Limited, and N. Raviswaran, Head, Strategic Partnerships, Mahindra Defence Systems, at the signing ceremony of the partnership for the Make in India F/A-18 Super Hornet fighter, at Defexpo in Chennai. 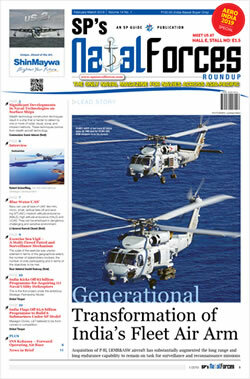 On April 12, 2018, Boeing made public the company’s success in forging of a partnership with Hindustan Aeronautics Limited (HAL), the Indian aerospace major and a Defence Public Sector Undertaking (DPSU) along with Mahindra Defence Systems (MDS), an Indian aerospace venture in the private sector, for the joint production of the F/A-18 Super Hornet in India to meet with the requirements of the Indian Navy and possibly the requirements of the Indian Air Force (IAF) with a land-based version of the platform. This partnership also has plans to pursue the joint development of future technologies in this regime as well. 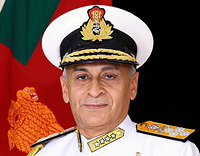 This three-way partnership has been inspired by the move initiated by the Indian Navy to procure a modern combat aircraft capable of operating from the deck of an aircraft carrier. Currently, the Indian Navy operates a fleet of 45 MiG-29K. However, as the MiG-29K fleet is plagued with poor serviceability and other maintenance issues, the Indian Navy is looking for a better and a more reliable platform for the new indigenous aircraft carrier that is presently under construction at the Cochin Shipyard. The Indian Navy rejected the naval version of the indigenously built light combat aircraft Tejas as it was found to be much too heavy and considerably underpowered, thus being unsuitable for operating from an aircraft carrier. Consequently, in early 2017, the Indian Navy issued a Request for Information (RFI) to procure 57 multi-role combat aircraft for its new carrier. The likely contenders in the race for the final contract are Boeing, pitching its F/A-18 Super Hornet, the Rafale from Dassault Aviation of France, the Russian MiG-29K and the Sea Gripen from Saab of Sweden. Although the Request for Proposal (RFP) which is the formal tender document, is yet to be issued, from amongst the four contenders listed above, the F/A 18 Super Hornet undoubtedly stands a bright chance of being identified as the preferred platform. It will be less expensive compared with the Rafale and hence more affordable if large numbers are required to be procured and can boast of better capability and operational track record than the Sea Gripen or the MiG-29K. While the initial requirement projected by the Indian Navy is for 57 aircraft, this figure may double in case the Indian Navy decides to replace the existing MiG-29K fleet or induct another aircraft carrier. For Boeing, it would make eminent sense to enter the race for the contract with the offer for a customised version of the platform for the IAF. The business potential for Boeing however, is not likely to be limited to the requirements of the Indian Navy alone. Since the cancellation in 2015 of the tender for 126 medium multi-role combat aircraft (MMRCA), the IAF has been desperately looking for options to induct modern fourth-generation combat aircraft in large numbers to arrest the crippling erosion of operational capability and restore the strength of its combat fleet to the authorised level of 42 squadrons in a respectable time frame. As of today, the IAF is short of around 200 fighter aircraft and in another five years, if induction plans do not fructify, the deficiency could go up to around 400 aircraft. In 2016, the Ministry of Defence (MoD) then headed by Manohar Parrikar, initiated a proposal to invite a foreign original equipment manufacturer (OEM) of a proven, single-engine combat platform to set up a production line in India to manufacture the aircraft in fairly large numbers to meet with the current shortfall in the IAF as also the future requirements. Initial dialogue through diplomatic channels indicated that there were just two possible candidates. These were Lockheed Martin Corporation of the United States (US) offering the F-16 Fighting Falcon and Saab of Sweden with the JAS 39E Gripen, both proven, single-engine fighter aircraft. However, in early 2018, there was a rethink on the subject at the MoD and the IAF was advised to include twin-engine aircraft as well in the tender to increase the number of contenders in the race for the contract. This would not only provide the IAF with a wider spectrum of choice, it would also help obviate the possibility of a “single vendor situation”, something that is not acceptable under the Defence Procurement Procedure (DPP) 2016. As per the advice from the MoD, an RFI was floated by the IAF in the first week of April 2018 for 110 single-engine or twin-engine fighter aircraft, 85 per cent of which would have to be manufactured in India in partnership with an Indian aerospace company in the private or public sector. As it appears, this exercise is likely to be a repeat of the MMRCA tender with possibly one or two fresh contenders joining the race. For Boeing, it would make eminent sense to enter the race for the contract with the offer for a customised version of the platform for the IAF. If both the Indian Navy and the IAF opt for this platform, the total numbers required to be produced by the joint venture facility in India will be much larger thus enhancing the financial viability of the business model. It will also provide for better maintenance support by the OEM to both the Indian Navy and the IAF. This project will have benefit immensely from the strengthening ties between India and the US especially as India has been declared a “Major Defence Partner” of the US. But more importantly, manufacture of the selected platform in India through a joint venture will provide a major impetus to the Make in India programme in the defence manufacturing segment of the Indian aerospace industry.